The Tualatin Valley, located in Portland's backyard, is comprised of 10 cities and dozens of smaller, incorporated areas of Washington County, Oregon. 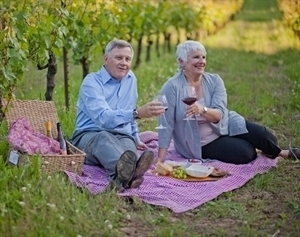 As the gateway to Oregon wine country, the Tualatin Valley is home to more than 30 wineries, a dozen breweries, dozens of u-pick farms, a dozen golf clubs, and hundreds of miles of walking, hiking and cycling trails. With no sales tax in the state, the Tualatin Valley also is home to the Greater Portland region's best tax-free shopping, as well as top-notch local restaurants with global cuisine. Cities in the Tualatin Valley include: Banks, Beaverton, Cornelius, Durham, Forest Grove, Gaston, Hillsboro, King City, North Plains, Sherwood, Tigard, Tualatin and Wilsonville. Includes Cities/Towns: Banks, Beaverton, Buxton, Cornelius, Forest Grove, Gales Creek, Gaston, Hillsboro, Manning, North Plains, Portland, Sherwood, Timber, Tualatin. The Tualatin Valley is a diverse region, which mixes urban amenities with rural activities. Close to farms, vineyards, forests, parks, trails, lakes and rivers, the Tualatin Valley offers myriad things to see and do. Outdoor recreation is abundant, with opportunities for a wide variety of indoor and outdoor sports and activities, including zip lining, kayaking, fishing, boating, golfing, hiking, walking, cycling and more. Additional activities include tax-free shopping, wine tasting, scenic drives and more. The Tualatin Valley has a rich cultural and arts community, with professional and community performing arts groups, including live theater, musical theater, symphony, choirs, barbershop quartets and live music from around the world. The Tualatin Valley is serviced by Trimet, which operates buses in the region, as well as light rail that has service directly from the Portland International Airport and Portland to Tualatin Valley's cities of Beaverton and Hillsboro. The Westside Express Service commuter rail, also transports travelers to the cities of Tigard, Tualatin and Wilsonville during rush hour. The Tualatin Valley has several hospitals that serve the area, as well as wellness centers and naturopathic centers that offer a variety of alternative care, such as chiropractic care, acupuncture and massage therapy. Jan 33.0 F° 39.4 F° 45.9 F° 6.4 "
Feb 34.6 F° 42.6 F° 50.6 F° 5.3 "
Mar 36.9 F° 46.5 F° 56.1 F° 4.4 "
Apr 39.6 F° 50.4 F° 61.3 F° 2.9 "
May 44.7 F° 56.2 F° 67.6 F° 2.2 "
Jun 49.7 F° 61.5 F° 73.3 F° 1.6 "
Jul 53.5 F° 66.8 F° 80.1 F° 0.6 "
Aug 53.2 F° 67.0 F° 80.9 F° 0.8 "
Sep 48.8 F° 62.3 F° 75.8 F° 1.7 "
Oct 41.9 F° 53.2 F° 64.5 F° 3.0 "
Nov 37.5 F° 44.8 F° 52.1 F° 6.7 "
Dec 33.6 F° 39.7 F° 45.7 F° 7.0 "
The weather in northwestern Oregon can be unpredictable; however, residents can expect rainy and cloudy weather for approximately 6 months of the year. Winters are usually mild, with light snow some years, and summers are typically warm and dry, with daytime temperatures averaging in the 80s.